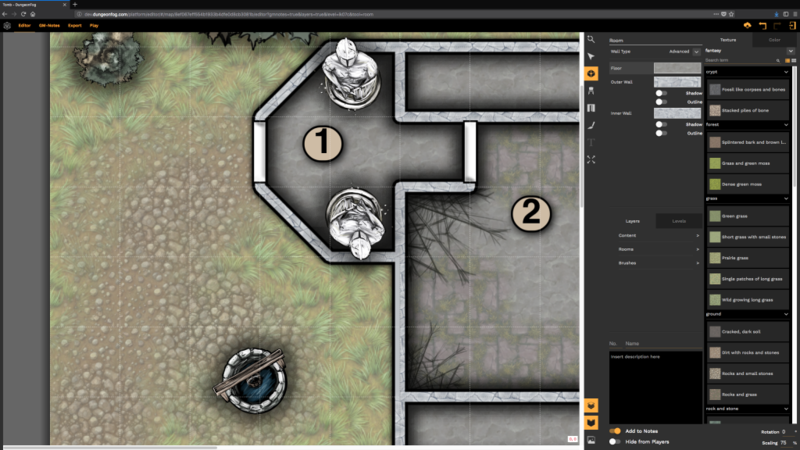 With the extensive DUNGEONFOG Editor you can draw your RPG tabletop maps with just a few clicks – No more patching up map tiles! 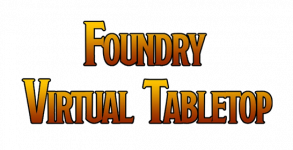 Create multi-level dungeons, terrains or entire worlds in an instant. Generate your GM-Notes automatically and export or print high-res images and notes, or send a Fog of War version for your players to your TV! Need a map for your TTRPG game? Our editor allows you to quickly draw maps for dungeons, open world encounters and any battlemap your are planning. 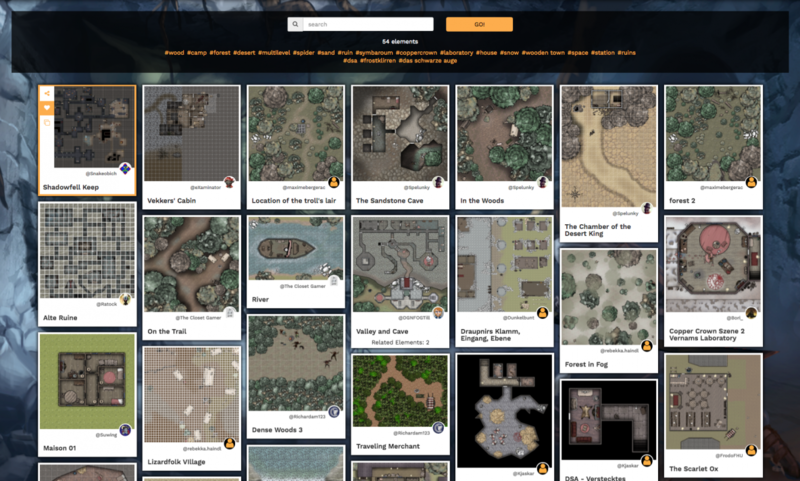 You can print them, export them, or play digitally on your created map in our DUNGEONFOG viewer. Late on your game preparations? DUNGEONFOG is not just a drawing tool. It identifies each object on the map and converts it into a textual description, creating all the notes you'll need for your game. You can then edit the notes, change the layout, download them as PDF, or access them via smartphone or tablet — they're interactive too! On our platform you can share maps, bookmark them or take a map and adapt it to your needs. Each map is editable, contains all the notes and can be adapted to your game needs, by changing the map-setting (SciFi / Dystopia / Fantasy / etc.). "It looks amazing - it's hard to explain how easy it is to use. A must have for GMs out there!" 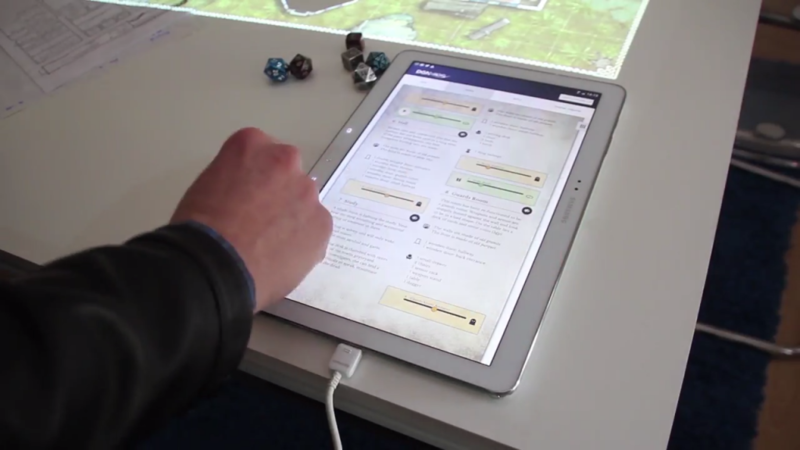 Experience the fastest way to prepare engaging tabletop RPG maps. Sign up today and start building your maps! Currency coversion & possible VAT my vary based on your country. All transactions are processed by FastSpring — our authorized reseller. If you have any questions regarding your subscription, currency conversions or accepted payment methods, please visit https://fastspring.com/contact/. © 2019 DUNGEONFOG KG. All Rights Reserved.